The Ides of March have almost arrived, and with them, the release of Patrick Carman’s 3:15 Stories app. In honor of the release, Carman and PC Studio have graciously offered to give away fifteen 3:15 Stories t-shirts to ARGNet readers. And what better way to give away fifteen 3:15 Stories t-shirts than to have three methods of entry? That’s right, up to three chances to win fifteen 3:15 Stories shirts for three days, starting on 3/15. You can use all three methods to triple your odds of winning, but entrants are limited to one entry per method, and each person can only win one shirt. No purchase is necessary, but this contest is limited to U.S. residents in the 50 United States and the District of Columbia (excluding U.S. territories) who are 13 years or older as of the beginning of the contest period on March 15th. Email [email protected] with the subject line “Paul Chandler Scares Me,” and tell us about your favorite Patrick Carman book or what you thought of the 3:15 Stories trailer on 315stories.com. All entries must be sent between 3:15AM EST on March 15th and 3:15AM EST on March 18th. After collecting all entries, ARGNet will randomly select the 15 potential winners and notify them on or before March 21st, 2011 (by email for Entry Methods #1 and #2, by a twitter Direct Message for Entry Method #3). Potential winners will have 48 hours to respond with their mailing address before they forfeit their prize and an alternate is notified. Read below the cut for additional rules. Both ARGNet and PC Studio will have access to your entries. 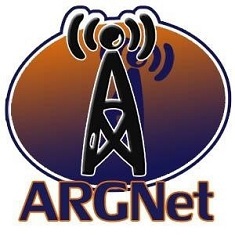 However, ARGNet and PC Studio will not share your contact information with third parties, and will not subscribe you to site-specific mailing lists. ARGNet or PC Studio may, however, contact entrants using Entry Method #1 to seek permission to repost your photograph on their respective sites (ARGN.com and PatrickCarman.com). This contest is sponsored by PC Studio. The total estimated retail value of the fifteen 3:15 Stories t-shirts is $45. By entering this contest, you agree to comply with and be bound by the Rules. Failure to comply with these Rules may lead to disqualification. ARGNet and PC Studio are not responsible for any technical difficulties that prevent your entry from being received. You are responsible for any taxes that may arise from winning. The names of the winners will be available upon request, by emailing comme[email protected] And sorry ARGNet and PC Studio staff, but you and your immediate families are ineligible to win a prize from this contest. As thanks for reading through the contest rules, here’s an additional image from the 3:15 Stories app, along with another image from the Dark Eden app.